Timmy Crowe in action, as his father, Tim, a former top class athlete, looks on. 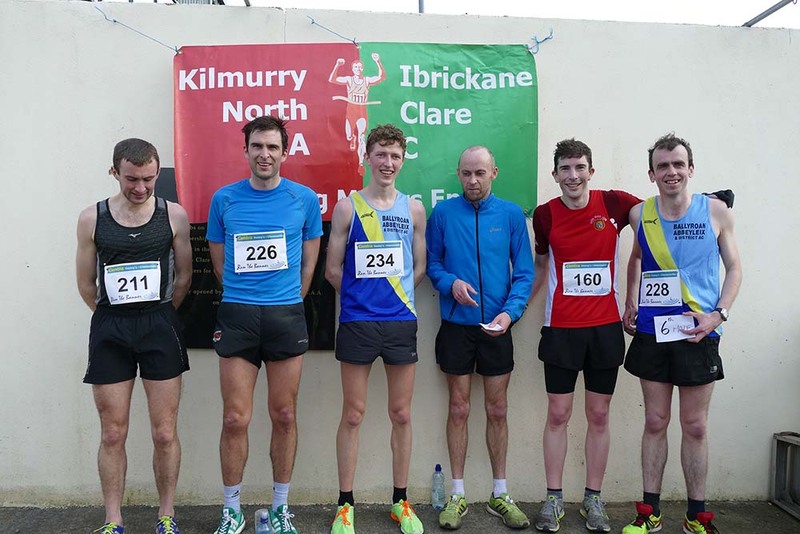 SIXMILEBRIDGE athlete Timmy Crowe was in flying form at the Athletic Ireland Games in Santry at the weekend. He romped to victory in his specialist event, the 400m hurdles, in a time of 51.76, the fastest time recorded in Ireland this year. Crowe, who runs in the singlet of Limerick club Dooneen AC, has come through a 10-month uninterrupted training schedule. He quickly found his feet in Santry, turning in an eye-catching performance which augurs well for the season ahead. His target is to trim his time down to 51.10, the qualifying time for the European championship in Zurich in August. This week he heads to Belgium to compete at two meets hoping to achieve the standard qualifying time. 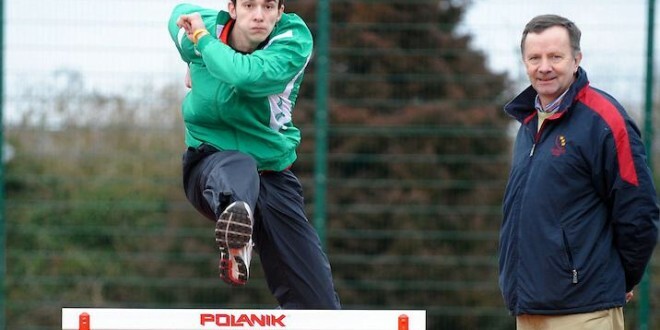 Two years ago he was a member of the Irish 400m relay team that competed at the European championships in Helsinki. While he will make the relay team for Zurich, he is determined to qualify in his specialist event.